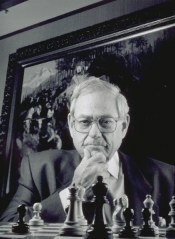 This is my father, Bob Praegitzer - a captain of industry and a pretty nice guy too. Dad was diagnosed with Viral Lung Cancer in early April and although we had high hopes that he would respond to new treatment options, his other health problems added complications to his recovery. He put up a good fight, and showed his strength and spirit until the very end. In this area I will pay tribute to my family through pictures and writings. I will be dedicating a special section especially for My Mom, who passed away in 1996 from ovarian cancer. 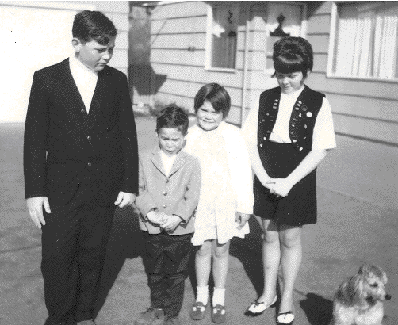 Jeff, me, Kathy, Nancy and our beloved dearly departed poodle dog - Pete. I have been receiving a few emails from Prägitzer's in Germany. I hope to continue to hear from our family across the "big pond," with more information about the family history and genealogy. If you are in Germany and a Prägitzer, and would like to be included in my web page, please send pictures (jpeg or gif) and information to slpraeg@msn.com! Thanks! I have many new Prägitzer friends on FaceBook now, and some friend requests pending as well. Still hoping to get info on their families.